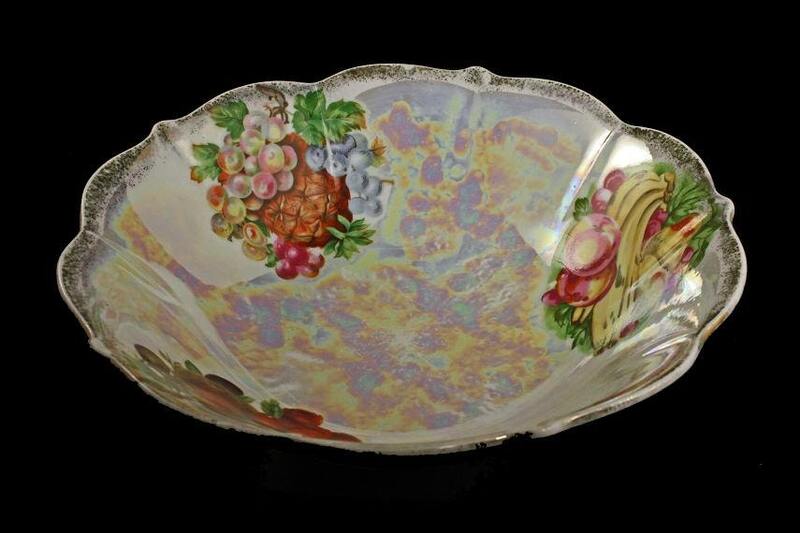 A lovely opalescent iridescent fruit bowl. 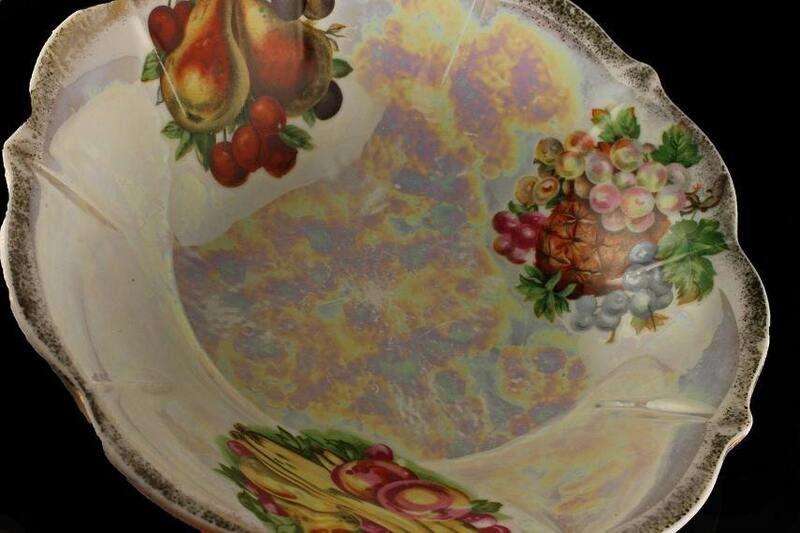 The bowl has the colors of the rainbow and fruit designs on the inside. The fruit designs are apples, bananas, and pears, the next one has pineapple and grapes, and the last one has pears and cherries. Gold trim on the rim. 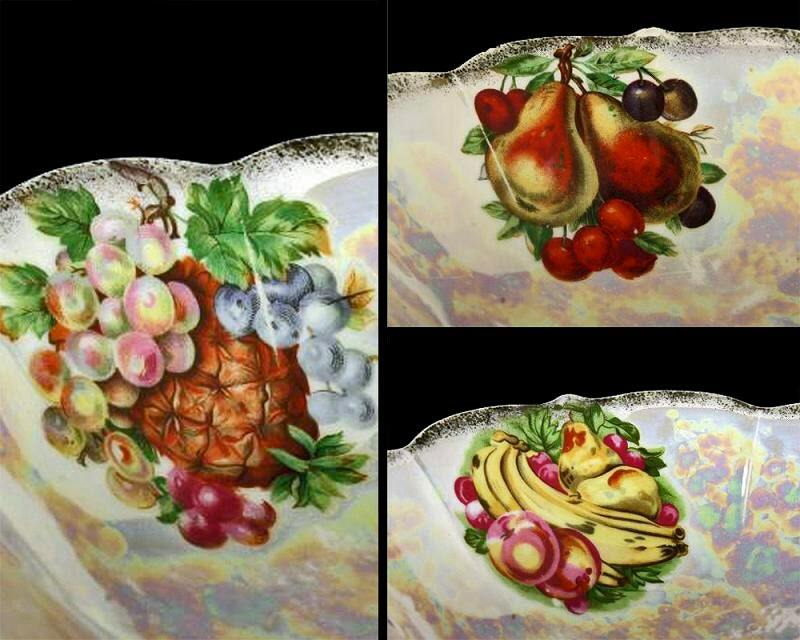 This would be a lovely dish for fruits or just to display. The maker of this lovely bowl is unknown. 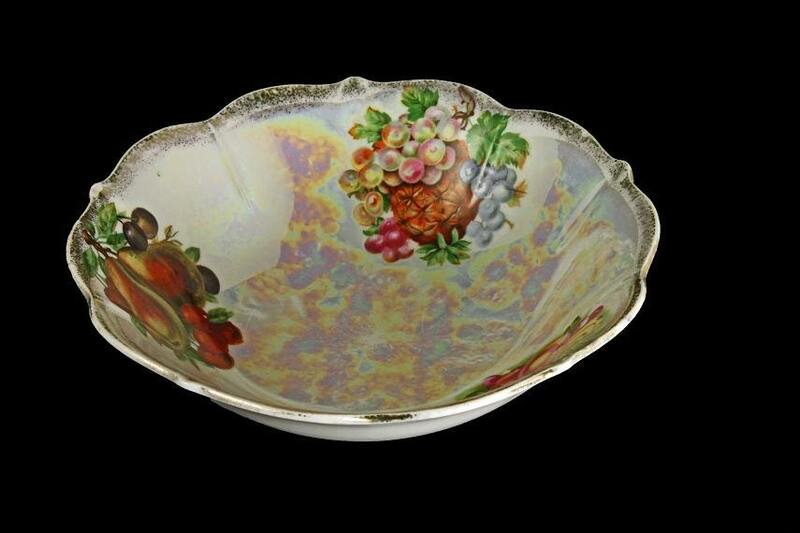 This vintage bowl is in very good condition. 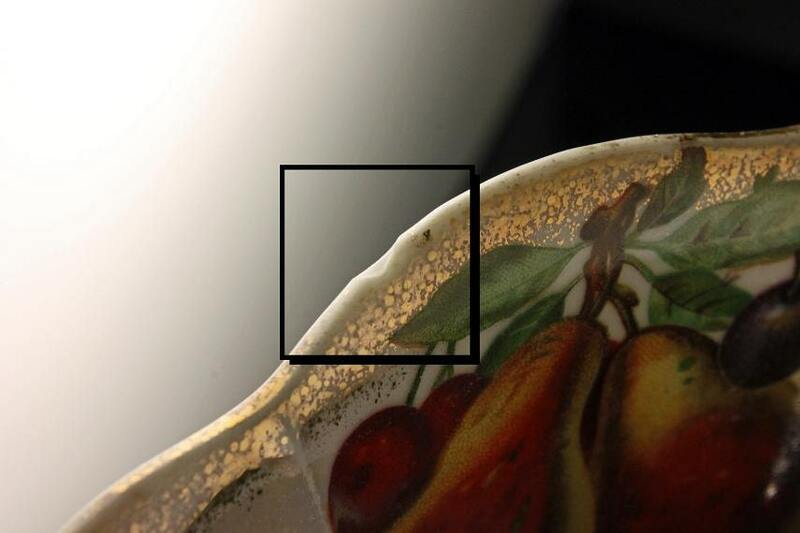 There is one small chip on the rim (See Photo #5). There is also some minor crazing on the bottom.